FDMC students at Mass of celebration for St John Baptist De La Salle. WelCom September 2017: Past and present students and staff celebrated Francis Douglas Memorial College Founder on Friday 2 June 2017. The day began with Mass at St Joseph’s Church New Plymouth, celebrated by Fr Tom Lawn, an Old Boy from FDMC. The focus was on those in need. 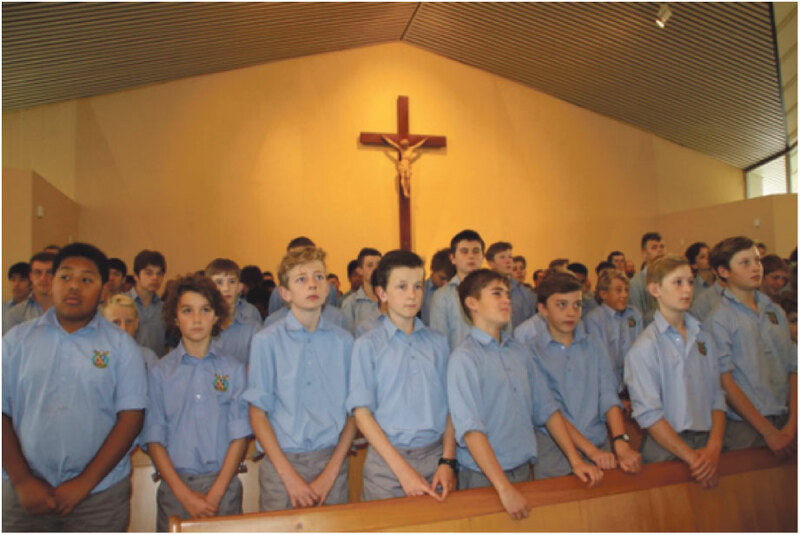 Part of the Offertory was for the Foodbank and contributions from the boys and staff overflowed the Sanctuary. 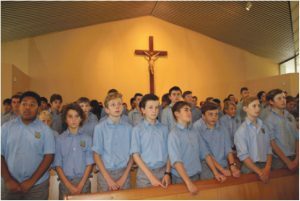 The newly-formed choir led the singing and the Mass was a celebration for the life of St John Baptist De La Salle. Student Bailey Kuklinski gave the homily and spoke about how ‘we all have the responsibility to help shape the future’. Pictured (r-l) Br Sir Patrick Lynch, Br David Hawke, representatives from the New Plymouth Foodbank and Br Adrian Watson. 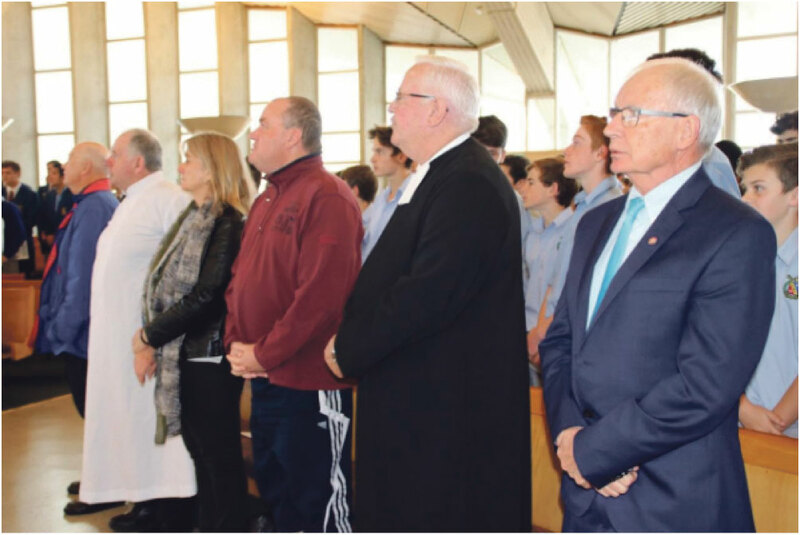 Sharing the day were representatives from Lasallian schools John Paul College in Rotorua and De La Salle, Mangere, as well as Sister school, Sacred Heart Girls’ College, New Plymouth.